Planning exactly what the family requires from their first self build home can save time and money when first meeting an architect. Being armed with details of what is wanted and what is not wanted will mean less disappointment at a later date when the plans drawn bear no resemblance to the family’s needs. When the idea of self building a home is first thought of, no doubt the type of home envisaged is a large detached mansion with lawns running down to one’s own lake stocked with exotic fish. Then reality hits home and the self builder must decide what they need in the family home and also what they can afford to build. Sit down with all members of the family who will be living in the new home and make a detailed list of each person’s requirements. Some may be within your budget some may not but take them all on board. Would your family benefit from a large open area where living and eating is carried out in the one space? Perhaps with a young family it would be good to have a room set aside for ‘best’ and a family area where youngsters can play with toys and feel more comfortable. Do you require a formal dining room where you can entertain or is this a room that would sit empty most of the time? How do you think of the kitchen area? Do you cook a lot or is it an area that will not be used apart from cooking ready meals and heating takeaways? Perhaps you would prefer a large farmhouse style kitchen which doubles as the main family room? Take note of the cook’s views on this important room. A utility room is a very important space these days and almost a requirement in most homes. Washing and drying can be confined to the area and if there is a door to the outside from this room it can double as a room where pets can be kept clean after being outside. If you can plan to have a cellar area in your home this maybe where the children have a playroom or you can set up a laundry area. How many bedrooms does your family need? Do you plan to have more children or do you intend to start a family? It may be that this home will be used as a leap pad to a larger home, and one where you will bring up your planned family. Be prepared for any eventuality as it may be that your babies may arrive whilst you are in this smaller home. Where will they sleep? Do you have guests to stay over and would you like a guest room for them? Perhaps this room could double as a study which is another popular requirement of modern homes, as working from home becomes more common. 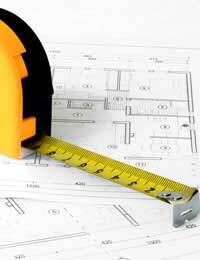 Consider, when designing your home whether there would be a way to extend the home at a later date. Leaving the home with the opportunity to expand could be an important factor to a future buyer. The days are long gone when a family bathroom would suffice in a home. These days an en suite to at least the master bedroom plus a downstairs shower room and separate toilet are required. A growing family cannot share one bathroom. When designing your home consider the space under the roof as an extra room, possibly two. Work out where the access would be best suited and how a staircase rather than extendable steps would be sited. It is possible to design the loft timbers so that they create a room shape rather than fill the area with cross struts. Do not forget to include space for sheds, workshops and a garage when sitting your design onto a site. When choosing the rooms suitable for your family ask yourself if these rooms would appeal to a future buyer or maybe, if you plan to move on you should include rooms that are more desirable to future owners of the house. Armed with your family’s requirements use a pencil and notepad to place them in the order of where you wish them to be. For an idea on how to sketch a floor plan of your house look online at estate agents websites and copy their simple way of outlining a plan of a house. Remember to add windows and doors. There are computer packages that can be purchased to design a house or an extension if you are interested in the technicalities of home design - but for the average family a hand sketched design will be enough to show your needs. Your architect will know the technicalities of design but your input will help him see what exactly your family want in their new home.